Sitting on the porch in the summertime and watching the sun go down is one of the most relaxing feelings in the world unless you’re being bombarded by bugs with their bites filling your skin with an itchy reminder that you didn’t go inside early enough. You shouldn’t have to plan your evening around the schedule of the pest. While you most likely just pictured mosquitoes dive-bombing someone’s sleeveless arm, it’s not just mosquitoes that are the culprit. Other bugs like gnats, biting flies, and ants can aid and abet mosquitoes in taking the fun out of being outside. Annoying itchy bug bites aside, there are also plenty of mosquito-borne diseases that can be contracted like West Nile Virus, Dengue Fever, and the Zika Virus. A simple step towards ridding your porch of pesky biting insects is to plant some pungent plants! While yes, we are talking about plants diving bugs off, we just want to take a second to say that this will not protect you from all of the bugs in your yard, this method will only reduce the number of bugs around your porch. Results will also vary with the number of plants placed in the immediate vicinity of the porch too. Plants can marginally help you avoid the pesky biting insects by blocking or inhibiting the insect’s scent receptors. Most biting pests find their unfortunate victims by utilizing the scent of people, so fragrant plants can often mask your smell, throwing the insect off and saving your skin! While this isn’t a fix-all solution, it is a pest management tactic that can be utilized. Do you remember those super smelly large candles that you used to have on your deck? Interestingly enough those citronella candles used for keeping mosquitoes away are made using lemongrass. This plant can drive off pests, but cannot withstand the cold, so put it in a pot so that you can take it inside at night. The citrus scent of lemongrass or any citrus smell for that matter should keep bugs at a distance. Lemongrass is no pest exterminator, but we still think it does a good job! Lavender is a plant of many skills because not only does it smell good, but it can also repel moths, flies, fleas, and mosquitos. You might also want to put lavender in a pot so that you can take it inside at night because it smells great and makes for a good centerpiece. If you have a vampire problem, make sure you have some garlic growing nearby! Not to mention garlic also deters mosquitoes and moths from getting too close. If you are having problems with flies and mosquitoes, plant some basil. Not only will it keep the pesky bugs at bay, you can also use it for any of your culinary endeavors, like cooking a homemade pizza pie. Now that’s a residential pest control tactic that we can get behind! Peppermint has better uses than being used for chewing gum and mints, it also keeps pests like bugs and even mice away. Since peppermint is in the mint family, it grows incredibly fast, so grow it in a pot and keep it by the door. Maybe it will keep the mice from trying to sneak in, but if they do get in, just give us a call and our pest exterminator can take care of it for you. If you have a feline friend, you might want to keep this outside! Catmints like catnip may drive your cat crazy but have been also been found to be almost as effective at repelling bugs than DEET. You might attract all the cats in the neighborhood, but at least the mosquitoes will go away. This plant truly does it all. Marigolds can repel mosquitoes, as well as driving away common garden pests like hornworms, aphids, and squash bugs. While this would be a great addition to your porch, you might want to put it in your garden too. Just be careful not to drive off the good bugs that benefit your garden. You might be asking yourself “Why is a residential pest control company giving me advice on pest management without charging me money?” The answer is simple, we care. If there is something as simple as planting some smelly plants that can make your yard more enjoyable, of course, we want to tell you. For anything that you can’t get done yourself, call us at Earthwise Pest Management and we will show you the best pest control services in Sacramento! 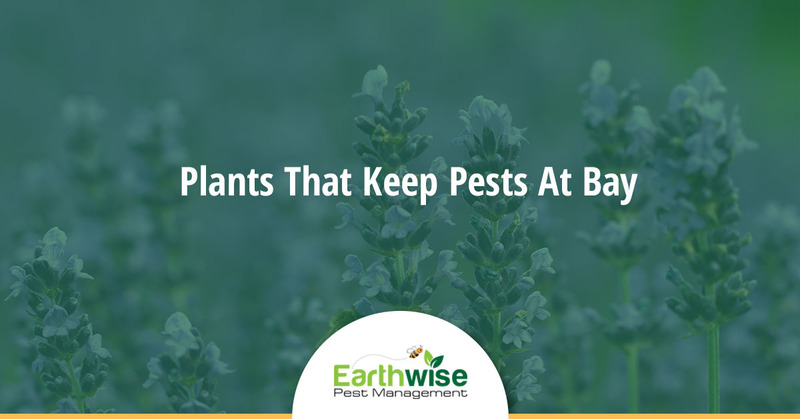 ©2019 Earthwise Pest Management | All rights reserved.